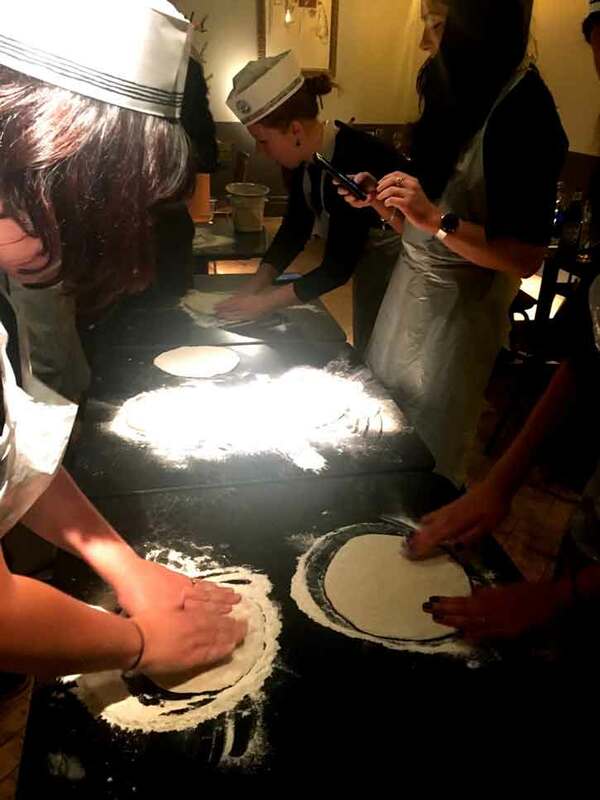 Earlier this month we were invited to a night of Pizza Making fun at the recently revamped Pizza Express in Didsbury. 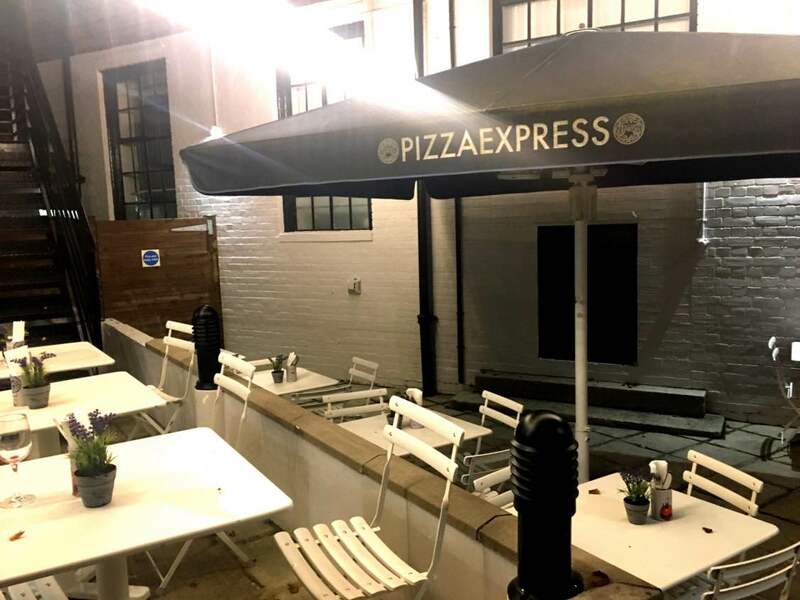 Situated at the heart of Dibsbury West, Pizza Express offered a taste of authentic Italian cuisine and al fresco dining. On arrival we were greeted warmly by the team and led upstairs to meet our host for the night and restaurant manager Nathan. An excellent host and manger, Nathan quickly sorted out our drinks orders and allowed us to have a look around the restaurant and check out the interior. The new artwork is modern, clean and refreshing, taking aspiration from the history of the building as the as Post Office. 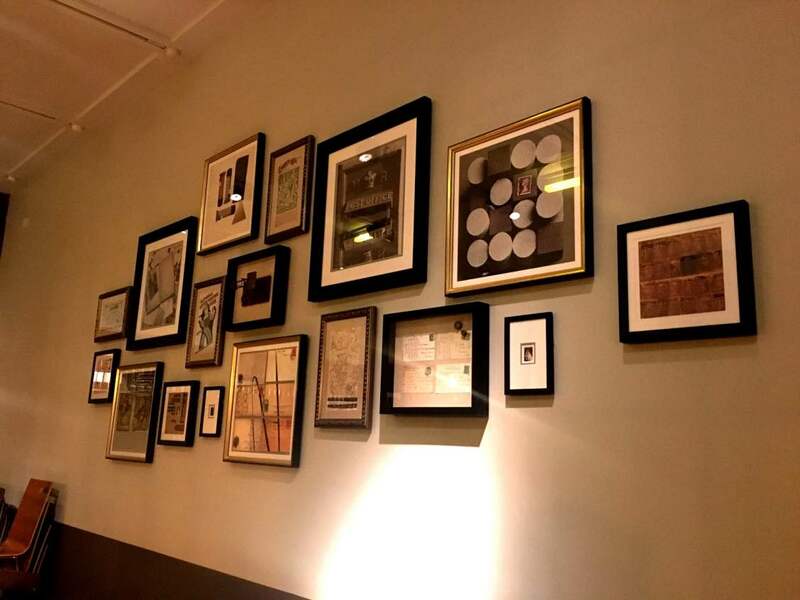 The room upstairs would be ideal for group bookings and events and parties. Nathan showed us downstairs and showed us the new restaurant layout. They have split the space in to two areas, One side for couples and groups and the other side for families and young children. A great idea to make everyone comfortable and at home. Then on to the kitchen where we found out that they Pizza flared an incredible 1 out of every 4 pizza! (A lot harder than it looks) Flaring is where they thrown the balls up in the air, allowing the base to become super thin and perfectly round. Exactly how I like my pizza. Nico our chef for the evening was obviously a pro and got it spot on every time. 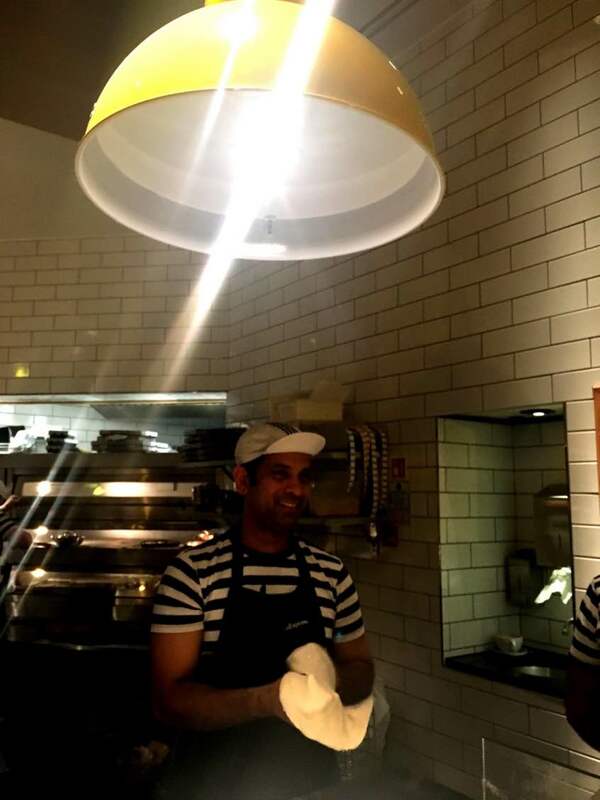 The pizza oven is a steady 370 degrees and can cook a pizza in 4 minutes. 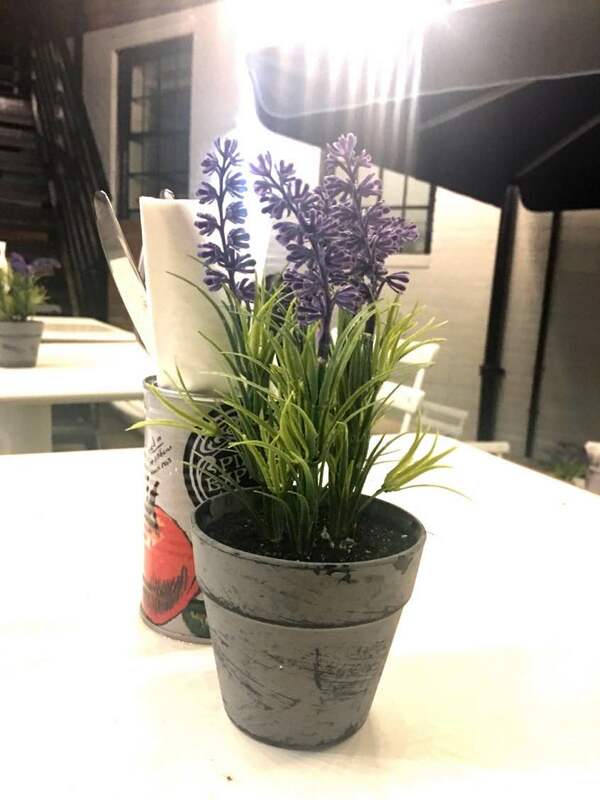 The kitchen staff confirmed for us that they are totally vegetarian, keeping ingredients separate and chefs and ensuring zero cross contaminate. Nathan then took us to the newly revamped outside dining area. This space would be perfect on a hot sunny day, enjoying lunch or dinner with a glass of dry white wine with friends. It is also smoke free! Great for when eating Al Fresco! 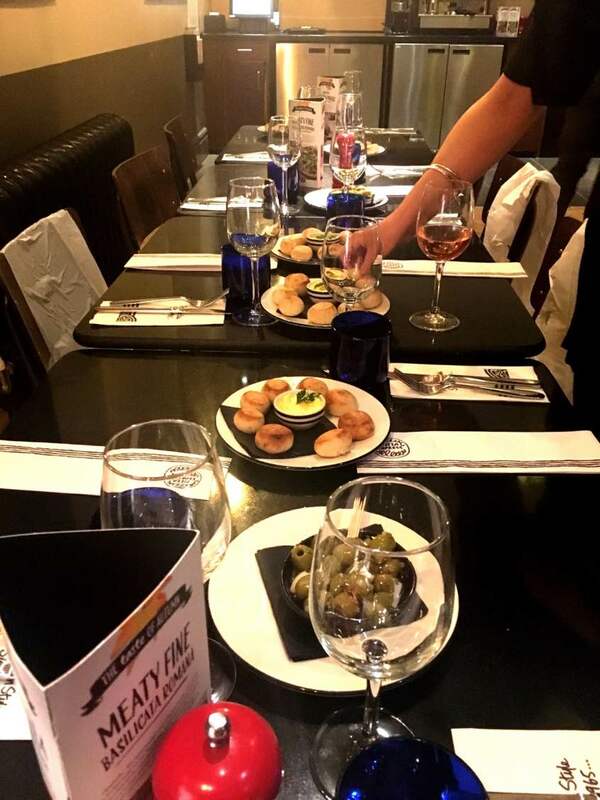 For started we had the classic Pizza Express Dough Balls along with olives. I’m not sure what it is about these dough balls but everyone goes mad for them…and it’s understandable, so simple and so so good! Danny had a knack for it though and ended up winning and award for his Pizza making skills! 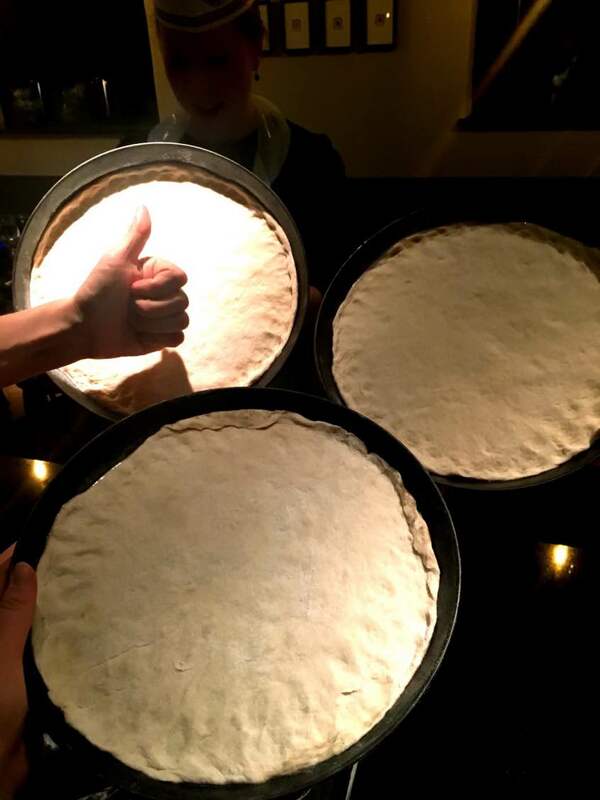 Once the dough was big enough and thin enough it’s time to pop them into the trays, using the tips of our fingers to make the crust. 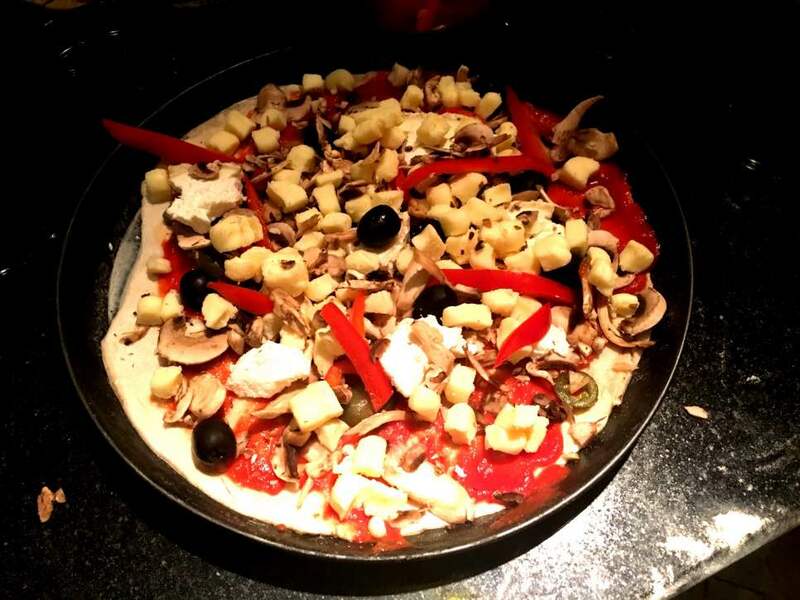 Next to add the toppings…but not before adding the tomato sauce. I was surprised to find out that this is done without a spoon or any utensils to spend the sauce. 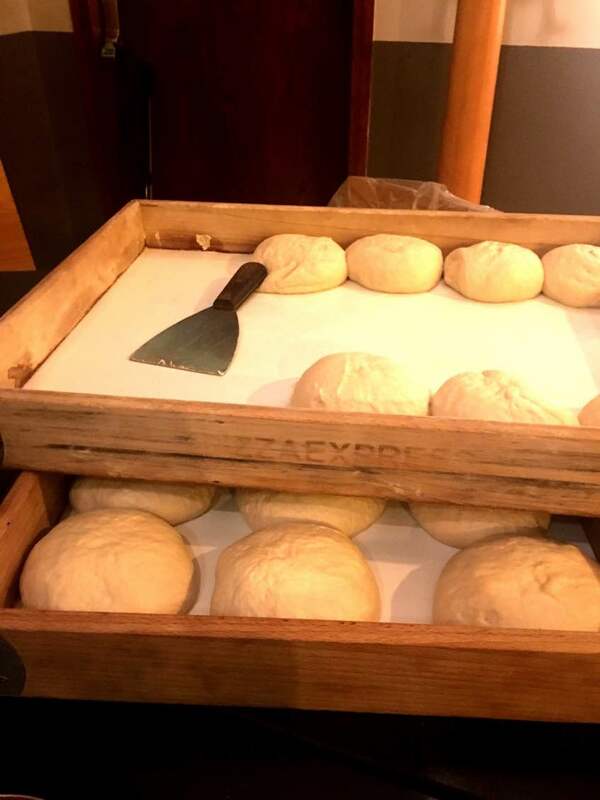 Once scooped onto the dough you then need to tilt and tap the pizza until the base is completely covered. A deceptively tricky task that only a few of us managed it without resorting to the back of a spoon. The ingredients were incredibly fresh and Nathan was very attentive to our veggie needs. One of our team also had a gluten free allergy. She made pizzas with us and then was brought a gluten free version to the table, making sure she didn’t miss out on any of the experience as we each made our own culinary masterpieces. 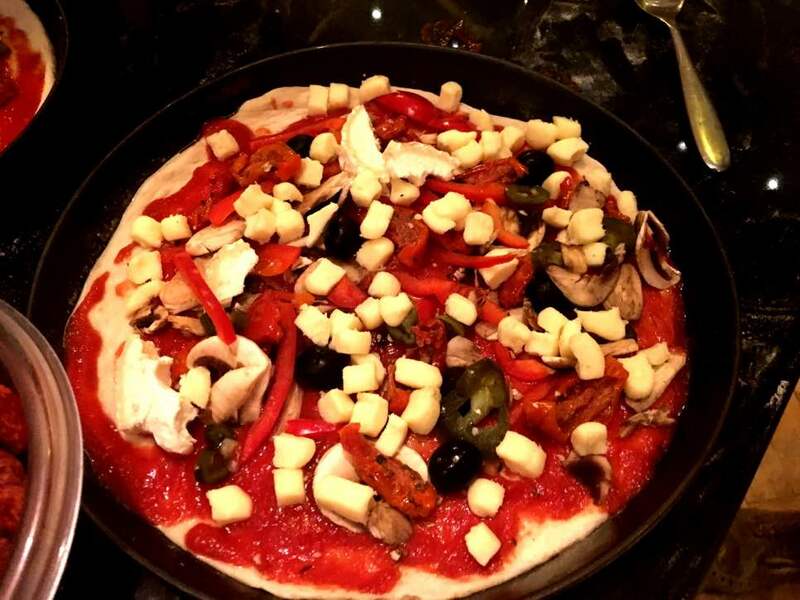 Once we’d cooked our Pizzas they were taken off to the oven to be cooked before being brought over to our table. The results were simply divine! 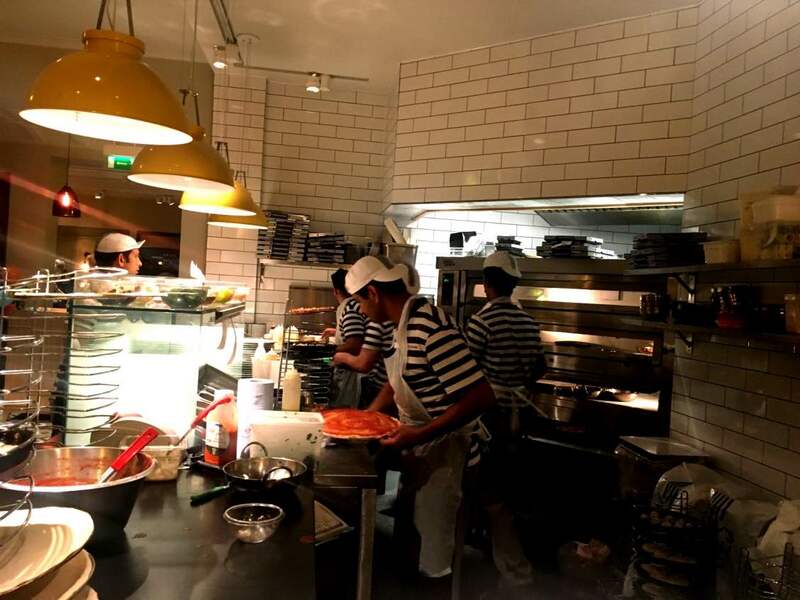 With Christmas fast approaching we think Pizza Express Didsbury would be the perfect team outing or family get-together. 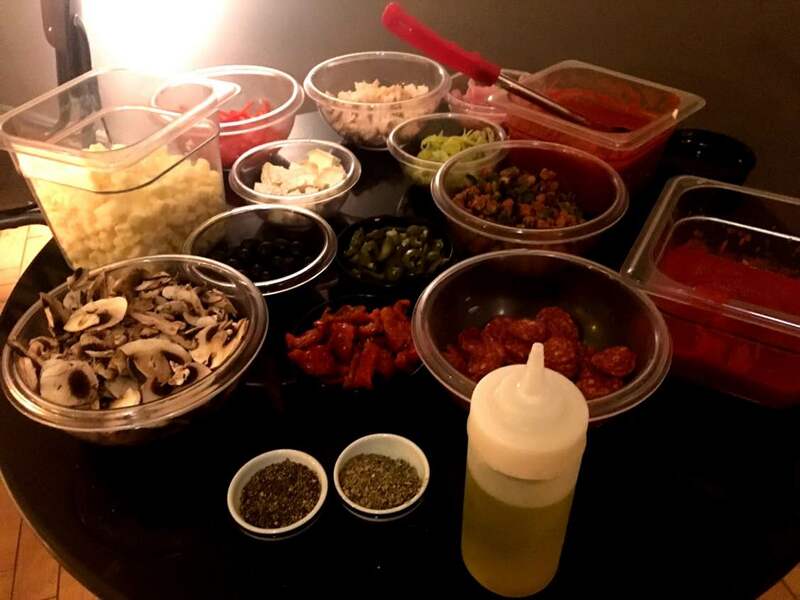 It’s great fun to learn about the pizza process and the attentive staff are on-hand to make sure that your night is a success. Overall a fantastic night was had by all – truly a night to remember. We hope to return soon to review the official menu very soon.